ING lion account by Kurt Stallaert | News | Initials L.A. This summer new ING clients opening an ING 'lion account' receive 50 euros without actually having to do anything for it. Advertising agency Mortierbrigade came up with a campaign that illustrates the 'dolce far niente' in a cute and summery way. 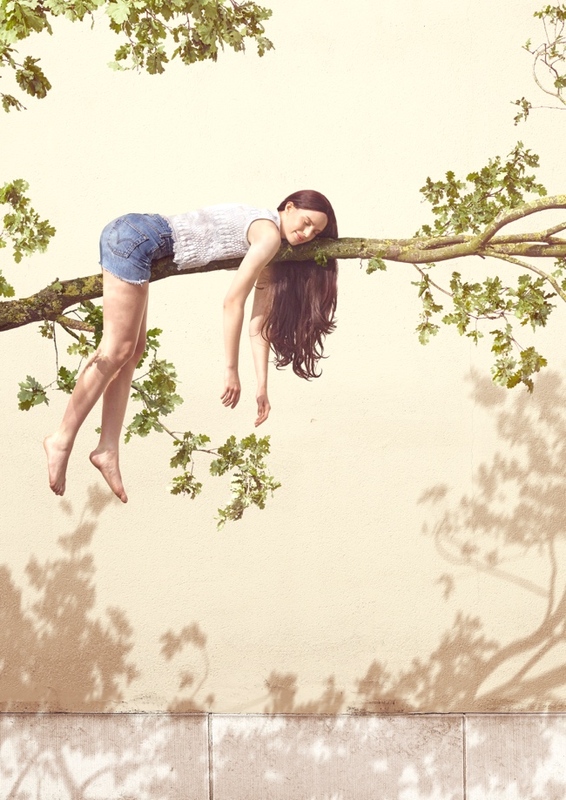 The lion in this image is model Bettina Molnar, who makes lying on a rather thin branch look quite comfortable. Photography by Kurt Stallaert, production by Initials LA.